Incorporated in London in 1856 as The Hongkong and Shanghai Banking Corporation, HSBC is now one of the world’s largest financial institutions. Although they have a dominant position in Asia, they operate on six different continents. Their portfolio includes a range of mortgage and refinance products in the United States with extremely attractive interest rates and terms offered through their HSBC Bank USA and HSBC Finance Corporation subsidiaries. HSBC mortgage rates are among the most competitive in the marketplace. HSBC can offer qualified borrowers some of the most attractive terms and best mortgage and refinance rates in the market. Their traditional lending products are for “conforming” loans, which means that they can be for no more than $417,000 dollars. Within their conforming program, HSBC has fixed rate terms of anywhere from 10 to 30-years. They also offer the option to take out a loan on an interest-only basis, leading to lower payments. HSBC also offers adjustable-rate mortgages (ARMs). These loans come with a fixed interest rate for three, five, seven or 10 years then have yearly adjustments where the rate can go up or down to conform to changes in the interest rate market. Traditional refinance programs at HSBC have two key benefits. The first is that their rates are extremely attractive even without requiring you to pay discount points. This leads to lower closing costs. They also have a 60-day lock period which lets you fix your interest rate and have ample time to close it. Other lenders frequently only give you a 30 or 45-day interest rate lock and charge extra for a 60-day lock. HSBC also has very competitive rates on special loans which make it easier for people who do not have a great deal of money for a down payment or ancillary fees associated with refinancing. HSBC’s VA loan product, available to veterans and active-duty service people, has no down payment required and carries no monthly mortgage insurance premiums. People without military service can take advantage of HSBC’s ability to originate FHA mortgages and FHA refinances. FHA loans allow you to put as little as three percent down to buy a home. HSBC will even work with borrowers who are able to find grant money to help them buy their home through their CommunityWorks program. HSBC CommunityWorks even offers a 40-year mortgage option. HSBC’s special loan programs frequently carry slightly lower interest rates than traditional mortgages. While the discount can be small, frequently in the range of 0.375 percent (37.5 basis points), it nevertheless makes these loans more affordable. This can be especially helpful if you are struggling to meet your mortgage payment. One minor downside with HSBC mortgages refinance options is that VA loans might not be available in California. HSBC HELOC, or Home Equity Line of Choice, is offered in 39 of the 48 contiguous states. Their lines offer a repayment period of up to 20-years with the option to have a fixed rate on some or all of the amount borrowed. They also allow borrowers to tap into up to 80 percent of their home’s equity. This product lets homeowners borrow money against their home’s equity at very attractive interest rates. The interest on HSBC home equity loans is frequently tax deductible, making them an even better deal than taking out car loans or credit card borrowing. HSBC customers who have large amounts of money on deposit may qualify for the bank’s Premier lending programs. At a minimum, being an HSBC premier customer can qualify you for lower mortgage rates and refinance rates on both fixed and adjustable loans. Their Premier Deluxe Mortgage program includes a credit against closing costs and the ability to borrow up to $5,000,000 at fixed or adjustable rates. Premier customers get additional benefits, too. They get the ability to borrow up to 85 percent of their home’s value through a Premier HELOC as well as receiving lower rates. 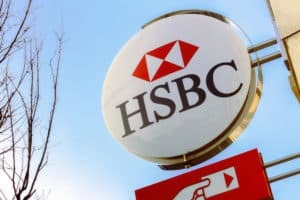 They can also use HSBC’s global reach to simplify the process of getting an HSBC mortgage on property located outside of the United States, making it easier to buy a chateau in Burgundy or a beachfront cottage in Costa Rica. How does HSBC compare to other banks? HSBC vs. U.S. Bank It’s difficult to compete with U.S. bank because they don’t charge application or origination fees, which can lower the cost of a refi, but HSBC holds their own. The wide-variety of products offered from HSBC encompasses many types of borrowers, and the HSBC mortgage rates are tough to beat. HSBC vs. Capital One HSBC offers a significantly more robust catalog of refinancing options than Capital One. A major downfall for Capital One is their lack of FHA and VA products. HSBC offers both of these, more extensively, and more. The Premier mortgage rates offered by HSBC is also a draw. When comparing these two institutions, HSBC wins in many categories. HSBC is one of the world’s strongest and oldest financial institutions thanks to their prudent lending policies. If you can qualify to use them for your home equity line of credit, refinance loan or new purchase mortgage, you will benefit from their competitive terms and attractive rates. Should you be able to achieve Premier status, HSBC will be an even better option for finding the best mortgage and refinance rates.